Joining the UBRI team in 2013, Christina supports research, communication and program design across Western NY Regional Economic Development Council (WNY REDC) and Buffalo Billion initiatives. She was the lead writer for the Buffalo Billion Phase II investment plan and writes the WNY REDC progress report annually. Within the Buffalo Billion project portfolio, Christina builds upon understanding of tourism planning to provide communications around Niagara Falls revitalization initiatives, and expertise in grantmaking to assist with the design and implementation of the Better Buffalo Fund, Workforce Development Challenge and Smart Growth Community Fund. She is also part of the East Side Corridor Economic Development Fund team, helping to develop, communicate and implement this multi-project initiative. Christina lent knowledge gained through the Buffalo Billion process to assist with the Upstate Revitalization Initiative. At UBRI, Christina draws on prior experience in community and economic development, the cultural sector, brownfield redevelopment, evacuation planning, and public policy. Prior to moving to Buffalo in 2011, the Boston-native worked in the Massachusetts public sector for nearly a decade, serving as program officer for two cultural economic development grant programs at the Massachusetts Cultural Council, helping to improve cultural facilities, revitalize communities, spur the development of creative industries, and promote cultural tourism. Garnering experience in policy making, pubic processes and community engagement right from the start of her career, Christina served as a legislative aide for a state senator who represented neighborhoods in the City of Boston. Christina holds a bachelor’s degree in political science from Boston College and a master’s degree in urban planning from the University at Buffalo, where she received the AICP Outstanding Planning Student Award (2013), the Michael J. Krasner Memorial Scholarship (2012), and was part of the team that won the APA NY Upstate Chapter Outstanding Student Studio Project Award (2013). 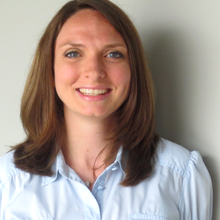 While pursuing her master’s degree, Christina worked at the Buffalo Urban Development Corporation on planning projects related to the South Buffalo Brownfield Opportunity Area. She was also a research assistant in the Department of Urban and Regional Planning co-authoring journal articles and a book chapter on multi-modal transportation planning for evacuations. Christina lives in North Buffalo with her husband Michael, her son Rory, and her daughter Rosalie. She spends time exploring Western New York with her kids and taking harrowing family road trips to New England.